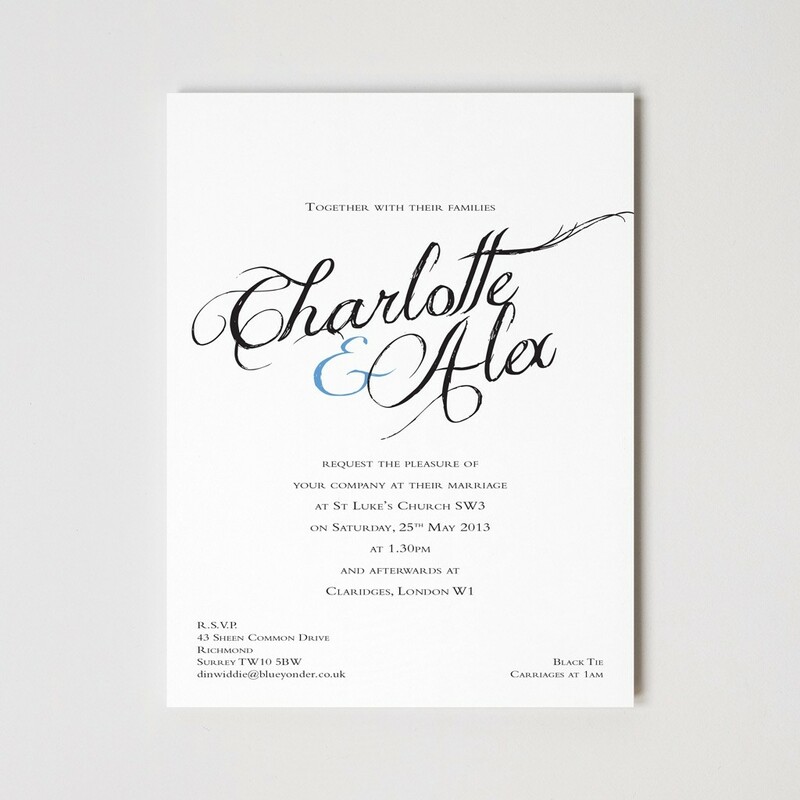 If you are searching for an appropriately understated way to invite your family and friends to celebrate your wedding day then look no further than our stunning Charlotte Calligraphy Invitations. 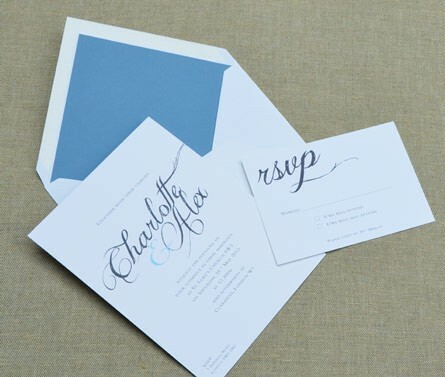 Expertly flat printed on heavy 700gsm paper stock using subtle cool grey and blue accent inks, our Charlotte Calligraphy Invitations measure 203mm by 152mm and are supplied with 160gsm plain envelopes. Matching reply cards and paper lined envelopes are available.